Akira Toriyama has Big Plans for Android 17, and he said that 17 has enormous potential, as revealed by the producer of Dragon Ball Super in a recent interview. In a matter of fact, Super is pushing him so much that they even released a special teaser trailer on the return of 17 before Episode 86. We will come back to that after analyzing the ‘ Goku vs 17’ battle. FOR DAILY UPDATES CLICK HERE>> AND SUBSCRIBE! In Dragon Ball Super Episode 86, Android 17 gave Super Saiyan Blue Goku a run for his money. 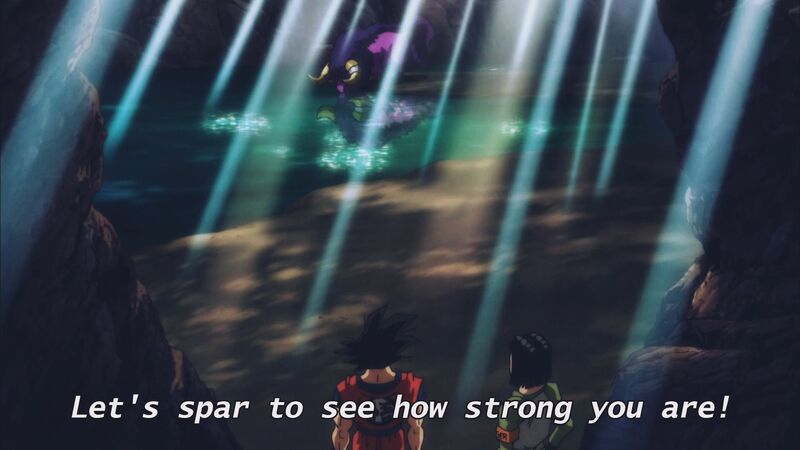 This is the first time we saw 17 in action, after the Cell arc, we literally had no idea where 17 was standing in terms of power , and now suddenly we find out he is able to keep up with Super Saiyan Blue. That is huge, granted Goku wasn’t using full power or was willing to inflict any real damage on 17, still it’s a massive power boost from 17’s end to be able to hold his own against SSB, no matter how relaxed Goku was, it was still SSB. Also, even though 17 would not be able to defeat Goku even if he was using full power, take note that 17 wasn’t actually using his 100% either. So, without an ounce of doubt it can be said 17 is DAMN powerful. Basically, their argument is from the point Androids are created they should have the same power level, but as all the Dragon Ball Fans know that the case of 17 and 18 is different from that of other Androids. For Example, Android 16 was created from the scratch by Dr.Gero he is 100% machine, but 17 and 18 were originally humans, and Dr.Gero modified them, and turned them into artificial humans, and hoped they could kill Goku and Company. So, just like other humans they can in fact train and get stronger or increase their powers. Now, Granted they can power up by training the question is how was 17 able to reach this level? Since 17 is an enhanced human, and was specially designed to take out Saiyans as strong as Goku and Vegeta. He most likely has more potential than any normal humans or even the Saiyans. At least the level he has reached suggests so. Potential is the key here, for example, Gohan has more dormant potential than Goku and Vegeta. So, if he kept training non-stop like them, at this point he would be way stronger than them. We have to emphasis on 17’s potential because it got confirmed by Akira Toriyama himself. We have an interview of Dragon Ball Super Producer Hiroyuki Sakurada from DB-Z.com, and here’s the important part, he said “C-17 did not have many fights in the original story, nor in the animated until now. Apparently, Akira Toriyama did not have the opportunity to reveal all his strength, but he gave us his agreement to do so, saying that C-17 has enormous potential.” It is also hinted that he actually passed his time playing against his opponents in the Cell Saga. So we will go through 1 solid example, which will help us to understand just how much of a game changer can having high potential be! Golden Frieza was able to keep up with Super Saiyan Blue. Goku and Vegeta actually took turns to fight Frieza, and yet he was a credible threat to both of them. Now, when was the last time we had seen Frieza before this, and how strong was he at that point. The last time we saw him in Dragon Ball Z, Future Trunks sliced him without any real effort. Fast Forward to Super, Golden Frieza can give SSB a contest, and how did he achieve this form? He didn’t train for 10 years, 5 years, 1 year or even half a year. Frieza got his golden form just by training for only 5 months. Why? Because he was born with that kind of capability, he actually never trained seriously before this point. Yet he was able to match Goku and Vegeta who spent their entire lives training. That’s how game changing dormant potential can be in Dragon Ball. You know Frieza’s race is meant to be like that, but Frieza was a prodigy even for his race thus that was justified, and we didn’t see too many fans complaining about that when Resurrection F came out. If you were ok with that, you should be ok with this. Do you know how much potential 17 has? Do you know at what rate his power multiplies upon training? Next articleBoruto : Naruto Next Generations Episode 3 Review!